I am at this lovely winding road that opens onto the Sion-Panvel highway. Usually I keep a sedate pace on this road and continue with it until the highway straightens out. But not this time. The pace is higher and for once I didn't want the corner to end. The Fiat Linea 125 S does that to you. However, it wasn't love at first sight. The Fiat Linea 125 S showcased at the Auto Expo was in a delectable Safire Blue colour with black alloys. The one you see here looks like the regular car, and Fiat doesn't offer the blue colour even as an option. Sigh! It would have made the car a lot more appealing. Place a regular Linea Emotion variant and there will be hardly any visual difference, save for the T-Jet badge on the front fender and the 125 S badge at the rear. The grille, fog lamps, bumper and tail lights are shared with the regular car. 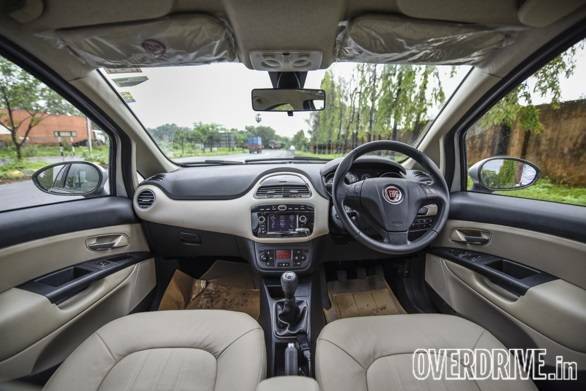 The cabin of the Fiat Linea 125 S though is a tad different than what you are used to seeing so far. While the general layout is the same, the age-old music system has been replaced with a fantastic 5-inch touchscreen system that supports navigation as well. Our top-end trim had leather seats, climate control, auto headlamps and wipers, a rear sun blind, all four auto down power windows with auto up for the driver, a rear AC vent and cruise control. The auto wipers though were a tad glitchy. It worked for the first day I had the car with me. For the next two days, even if it was pouring, the wipers didn't work unless manually activated. Once you do this and revert to the auto setting, they will work just fine. Strange. But what is worthy of mentioning is the music system. 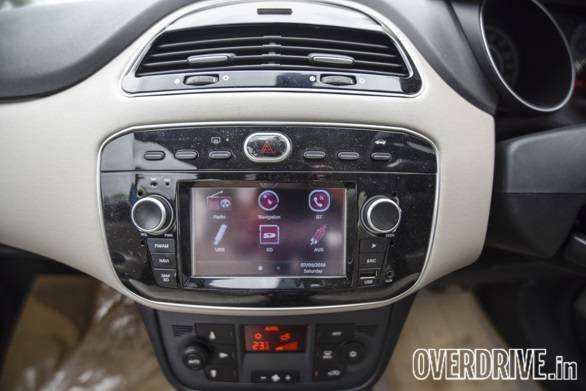 Ignore the 'small screen' for this segment and you will notice a crisp unit and good speakers. In many cars, the Bluetooth calling experience requires you to turn up the volume. The Fiat, however, was loud and crisp and sometime even required me to turn down the volume when not surrounded by honking traffic. It really is a good effort from Fiat's end. The front seats are supportive and kept me comfortable during the entire course of the test. The rear seat with a centre armrest in place is a tad cramped, especially for someone taller like me on the headroom front. Anis, who is 5'6", could sit comfortably though (as evident from the photos). 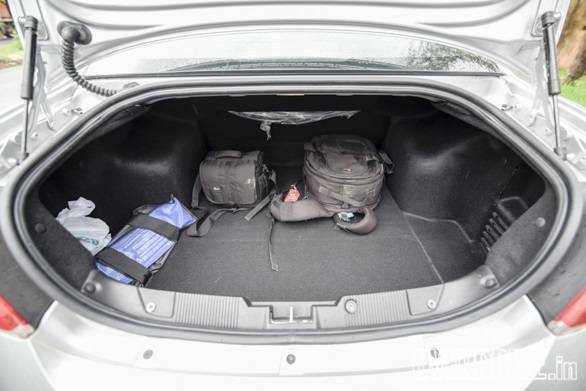 The 500-litre boot space is big enough. 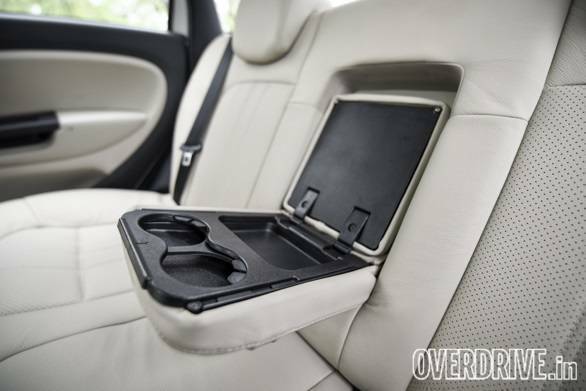 Speaking of which, Fiat could have added more useable storage spaces. In this digital age, there wasn't any place to keep my smartphone and wallet. The glovebox is also small and can barely hold a few papers. The slim door pockets too can't hold one-litre water bottles. Build quality is decent, but the glovebox closing action feels flimsy. But Fiat never intended this car to be a chauffeur-driven vehicle. Agreed, there are folks who do that, but think about it - it's like buying an Xbox 360 for your household to play around and you sit around and look at them. This Fiat begs to be driven. The clutch isn't very heavy but gets tiring because it is quite long and has a sharp biting point. The gearbox? You will either love it or hate it. I didn't have any issues with the TA65 box, which does duty on other Fiat products and a few Tata ones as well. It does feel quite rubbery and doesn't like to be hurried through, but you will quickly learn to work around it as I did. 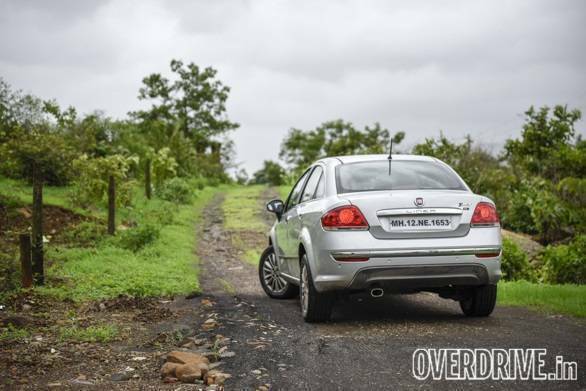 Get past all this and you will realise that the Fiat Linea 125 S is one fast car. 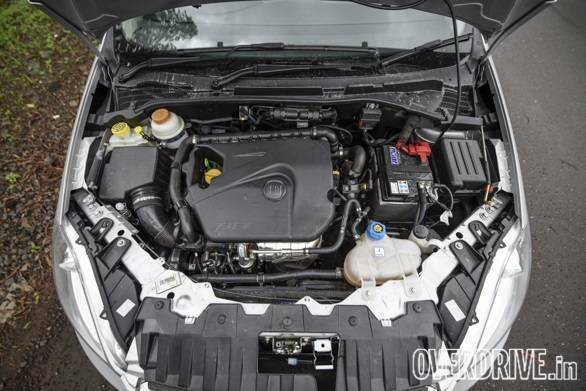 It has considerable torque steer - step on the gas hard and the car wants to pull to either side as it struggles for traction instead of trying to go in the direction pointed. However, this is on a lower scale than the 15PS more powerful Avventura Abarth. The gearing pattern is on the longer side, and trust me, you will enjoy pulling her to the redline in every gear. I saw 95kmph in second gear with the motor uttering a mild roar at this point. Interestingly, the 125 S feels faster than it actually is. For example, you feel like you are at 130kmph when the speedo is actually hovering at around 90kmph. The top speed we recorded was about 190kmph on the clocks with a little more to go. How does she feel compared to the now discontinued 114PS Linea T-Jet? To be honest, I hadn't driven the older car but for a perspective, I made Rishaad drive the Linea 125 S. He said that this felt a smidgen faster though the feel was the same from both the cars. This reflects in the acceleration numbers 0-100kmph in 10.4s compared to the T-Jet's 11.08s. Like the Abarth siblings, the 125 S struggles to set a quick 0-100kmph time because of huge and wasteful wheelspin in first gear. 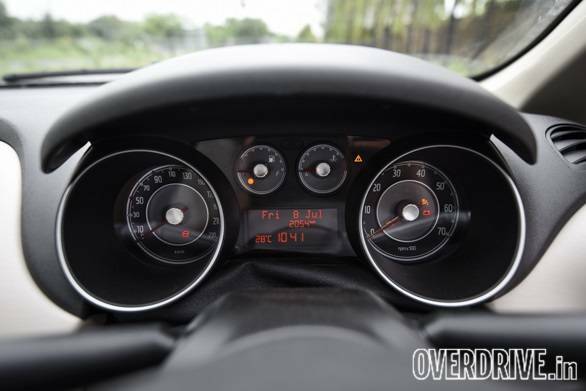 A 0-100kmph number is not fully indicative of this car's performance because it has a very strong midrange, upwards of 2,000rpm and feels faster than any other segment rivals. But all this comes at the expense of fuel efficiency. Fiat claims 14.2kmpl but don't hold your breath. The best we could get was 8.3kmpl in the city and 13.1kmpl on the highway. In our three days with the car, I saw an all time low efficiency of 5.1kmpl on the display. Alarming indeed and wallet busting too! But again, you will not buy an Abarth or T-Jet for the fuel efficiency. She delivers on the thrills point. While being a total sleeper, she will be a pleasant surprise to other Linea owners when you go like a banshee. She can cruise effortlessly on the highway with 100kmph being held at 2,300rpm. In traffic though you have to slip the clutch a bit to avoid stalling her, something I learnt the hard way. 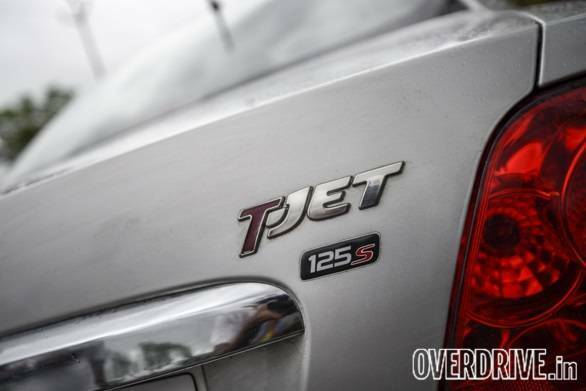 The 125PS/210Nm 1.4-litre turbopetrol motor is the same from the old Linea T-Jet, but in a higher state of tune. There is turbolag but it's bearable. The best part is the sharp all-disc brake set-up. 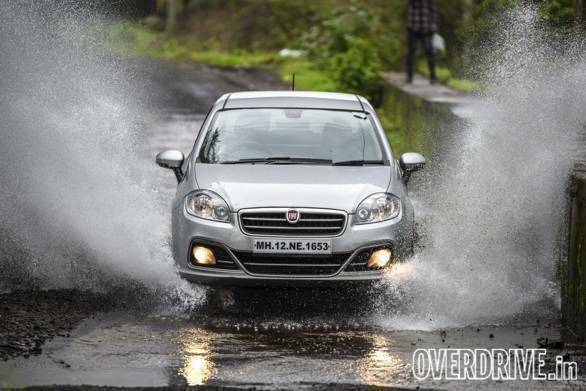 Considering the zingy performance for a sub-Rs 12 lakh sedan, the Fiat Linea 125 S can shed speeds rapidly and confidently. In traffic, the sharp brakes (discs all around) take some time getting used to. This is a firmly set-up car but has a pliant and supple feel over potholes. Ride comfort or ground clearance are both non issues, and the handling is quite engaging. The Apollo Alnac tyres, which earned quite a bit of flak in the more powerful Abarths, feel just about up to the job here. They have good traction, even in the wet, and only tend to spin up easily in first gear. The hydraulically assisted steering wheel is a bit on the heavier side in the city, and the large turning radius can be tedious in the city. Fiat recommends a cold tyre pressure of 36psi for the front and 33psi for the rear. Any lower and the heavier engine in the front will make you work extra hard to steer the car. I think it will really be a close call between the Vento TSI and the Linea when it comes to driving pleasure in this segment as both cars take different routes towards entertaining the driver. Fiat doesn't intend to sell huge volumes with the new Linea 125 S. In fact, we wonder how many cars Fiat plans to sell at all, considering that the brand has not had a single functioning showroom in Mumbai (of all places!) for well over a year now. Nevertheless, 125 S is a decently specced car but doesn't offer anything staggeringly new over the competition, apart from some added performance and a subsequent loss in efficiency. It will be a niche car which will likely be brought by an enthusiast or an existing Fiat owner. 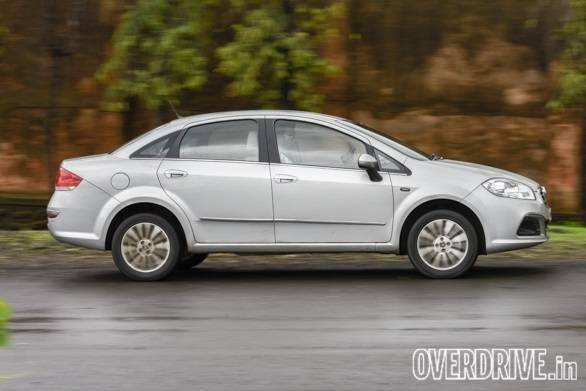 It though remains to be seen how it will fare against the Volkswagen Vento TSI in terms of performance. But let's reserve that for later. The talking point of this car then remains its timeless form, that enthusiastic motor and sharp handling. Just like its Abarth siblings then.